An Egyptian man's reflection at a mirror store in Islamic Cairo. 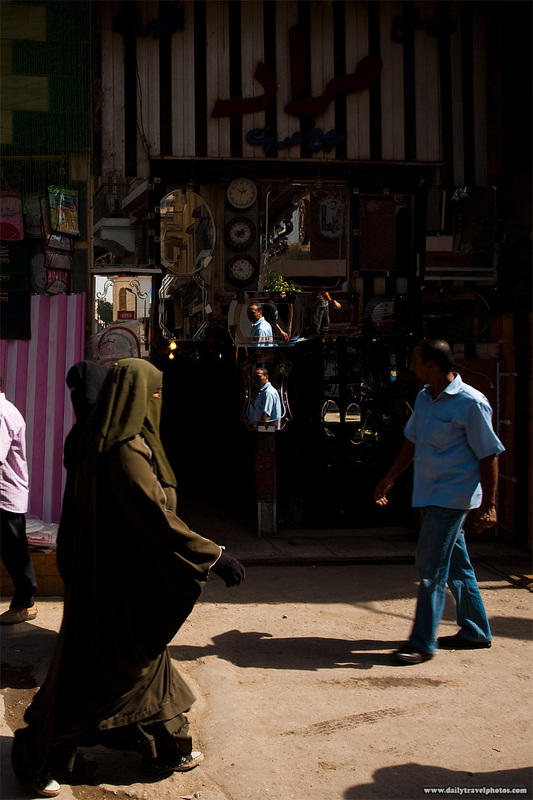 The large market area just south of Khan Al-Khalili, the touristy portion of Islamic Cairo, is a treasure trove of photos waiting to be taken. The area is informally sectioned by the various merchandise that's sold with an honest to goodness chandelier block and a several-block area so choc-full of shoes, it'll make Imelda Marcos envious. I had a chance only once to walk through the area but I'm mentally noting it for my next visit. 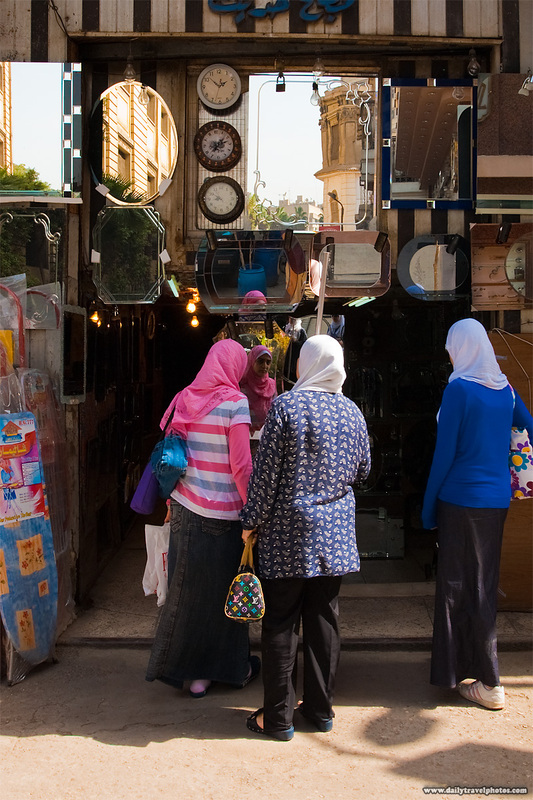 Egyptian women shop for a mirror in Islamic Cairo.